This article is a response to Pankaj Kulkarni’s article, Why Should Rationalists Have all the Fun?, in which he discusses monetizing the rationalism movement. Pankaj suggests that the non-profit model of promoting rationalism is inferior to profit-based initiatives in achieving progress in this area. I disagree. However, I wish to make it clear at the outset that I am not denying the value in harnessing the profit motive. I recognize that this motive for profit has been one of the fundamental driving forces behind innovation in technology and culture. I have immense respect for Pankaj’s thinking in this regard. However, I don’t think that the instinct for short-term financial gain should/will drive the future of the rationalist movement. I also disagree that the non-profit movement is not as effective in general as the for-profit industry. I present my reasons in this article. Before I get into the arguments for and against, I wish to clarify an important point that is often ignored in such distinctions. When Pankaj talks about ‘for-profit‘ initiatives, he, like most economists, refers to financial gains. Of course, we all know that there is much more to life than money. It is this larger sense of the term ‘profit’ that we will be exploring here. Through the rest of the article I will use the terms non-profit and for-profit in their traditional meaning, but I implore the reader to remember that non-profit does not mean there is nothing to gain from it. In fact, the earliest group-based non-profit initiative was the development of society itself. Quite ‘profitable’ a venture, I submit. My first argument is a philosophical one that is concerned with identifying the nature of the problem. Social problems are applied problems, requiring a directional solution. That is, the end result of the problem must be clearly stated before the solutions are found. Different types of societies will result from different approaches and we must first determine what type of society we wish to create. There are values judgments involved in making this determination. I have written in detail about this here, in regard to economics. I will briefly demonstrate this idea using an example. Consider a marriage. There are many reasons to engage in a marital arrangement, one of which is that it makes financial sense. The profit motive could be harnessed to make the marriage “successful”. It is, however, a rare sort of individual that actually wishes to engage in such a relationship. There is a tremendous amount of ‘profit’ in actually engaging in a loving relationship with a partner, although financial profit may never come into the picture. 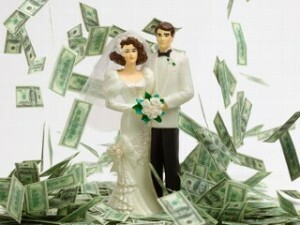 In fact, many people forgo financial wealth in order to profit immensely from a marriage. What I’m trying to get at is that it is important to first consider if a rationalism movement that is based solely on self-centered actions is desirable at all. I contend that it is not. A rationalism without humanistic values is an ocean devoid of life. Others may disagree, but that is a conversation that must be had. The behaviors of the individuals of any social group have been shaped by two ecological forces- competition and cooperation. These forces influence each other, serving as regulatory switches. What this means is that these forces are interdependent. Both competition and cooperation are essential traits for a successful society. Much of this debate on the social good obtained from non-profit vs for-profit endeavors can be resolved using the science alone. I am engaged in writing about this elsewhere. Here, I will address this debate on a more general level. Now, the idea that financial self-interest (competition) can find the solutions to all social problems is an ideology that ignores much of modern sociological science. At the base of it, however, is a fact- our every action is performed because it provides us with something that we desire. The flaw is in equating the desire for financial success with all human desires. This flaw is a reflection of the economic dogma that all things humans desire can be allotted a price in the free-market. One only needs to look at the evidence to know that there are some things that cannot exist if a true free-market was enforced (this is an impossibility). The answer to this, from staunch fiscal conservatives, is that if something cannot exist in the free-market, then it was not meant to be. It just wasn’t fit enough to survive. Social Darwinism. Consider the health-care debate in the US. The Americans have a highly unregulated free-market system for health care, where financial profit is the only official incentive for providing insurance and service. The resulting system is the most expensive system in the world, which also is relatively inefficient when it comes to providing essential care for many in the poorer classes. Why is this so? The answer lies in the fact that health-care happens to be one of those things that human society cannot financially profit out of without making the system worse. There is no bottom line unless some people are treated badly. Individual people can benefit from the profit motive, but the system as a whole will not. The answer to this problem that civilized societies figured out early on is to create a safety network (subsidies, emergency plans, public funding) to funnel money from other financially profitable ventures into providing humane health care for the public. This sort of thing is common in economics, although the free-market proponents consistently ignore it in their dogmatic adherence to their ideology. What this means is that in some cases, the profit motive will not work, at least not without making the system worse. Health-care is not self-sustainable- at least not yet. This is the reason why centralized planning and taxpayer subsidization are essential elements in creating a functioning system. This is not to say that the power of self-interest cannot be harnessed to work within the system, but this self-interest must be balanced by a values-based judgment of what the desired social outcome is. In the case of health-care, our humanism must inform the outcomes that we desire. Our primal urges evolved under circumstances that were very different, evolutionarily speaking, from what we have today. Very often, action spurred by our primal desires can actually cause us harm in the modern society that we live in today. 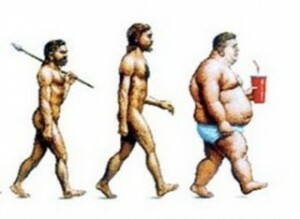 For example, our desire for high energy foods such as sugars and fats was evolutionarily desirable in primitive humans, but in the modern environment where we have access to an abundance of such food while we lead relatively sedentary lives, it is a harmful desire. Similarly, our primal desire for quick financial profit often counters our ultimate desires for happiness and belonging in a moral society. This recognition is the reason behind the proliferation of non-profit groups around the world. For-profit corporations will not consider certain prospects, precisely because there is no financial profit in doing so, at least not directly. It often takes years of non-profit work through centralized planning before financial benefits open up for the private sector, bringing in investment and for-profit work. In reality, non-profit groups actually benefit all of us, including those who participate in the activism and those who benefit financially as a result of new opportunities. The indirect profit that society gains from non-profit social organizations requires that these groups become an essential part of our culture and continue to do so going forward as a species. The system of economic value that the free-market is based on operates under the idea that our basal primitive instincts can be provided for through self-interest alone. The problem is that such a system does not contain the foresight to satisfy our emotional values on long-term goals. Achieving such goals requires not-for-profit action. For example, the environmentalism movement is inspired greatly by a large and diverse group of idealists willing to make sacrifices in order to achieve their goals. In all areas where high degrees of planning and direction are needed, non-profit groups and governments have gotten involved and are doing so with increasing urgency. The environmentalism movement has identified specific long-term goals and can perceive any future catastrophes that may result from our primal desires, such as the profit-motive. 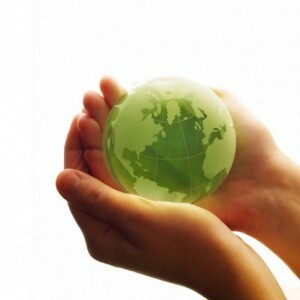 Today the environmental movement influences industry by imposing its values on the desires of the populace. Such long term action is only possible in a society where we choose to act in concert towards our common goals. The financial profit motive introduces self-centered action geared towards short-term goals. It must be contained and harnessed in the right places. I know that Pankaj’s article was not meant as an endorsement of the entire free-market philosophy that such ideas are part of, but I think a serious critique of that form of thought can be made here nevertheless. One of the great advancements of humanity was the development of agriculture. This invention changed society more than ever by allowing us the time and resources to develop division of labor and an appreciation for art. Modern civilization itself originated in this radical shift in our environmental determinants. There is a lesson to be gained from this knowledge. The direction that we as a society are heading in is not that envisioned by those who see profit only in terms of short-term monetary gains. In fact, it is in the opposite direction. As technology provides us with more independence than ever before, and artificial intelligence and robotics are set to transform industry over the next century, a future society based on individuals acting for monetary profit alone is unlikely. More and more, we are seeing a society that is self-organizing without the profit-motive. The desire to help create a just society can overthrow the more basal desire for short-term profit, provided our basic needs are taken care of. In the future, we are going to have more people performing non-profit activism than ever before. All indications are in this direction. Just think of open-source computing and software, free community programs, music, art and entertainment. There is increasingly more automation in industry and agriculture. As civilization evolves, so do our roles as part of it. We are moving from a society where the basic essentials were sold for profit, to one where they will be available to all for free. As the need for humans to perform mundane consumer-based work reduces due to automation of such work, people will be free to pursue things that interest them. I call this the Open Source Society. Our robotics and AI technology is ushering in a new revolution, on par with the invention of agriculture. We are on the cusp of entering a new era in human civilization. This is a very optimistic view of the future, I concede, but one that will follow as long as those desiring to maintain the profit motive as the only source of progress do not sabotage the open-source movement. The open-source-society movement will need a humanistic world to survive in, and in such a world information and opportunity will be made available to all. In such a world, monetary profit will not mean much. Simply put, we will have a thriving and strong rationalist movement that is grass-roots and organic, unless those wishing to monetize the movement at any cost set out to make it impossible for the non-profits to establish themselves. There is an excellent reason to move towards a society that is not based on systems designed around short-term financial profit. It is this: A society where survival pressures are reduced is one where rationalism is more easily accepted by people. More accurately, a lack of control over circumstances can cause people to believe to a greater degree in conspiracy theories and superstitions. This is based on interesting new research into human behavior under stress by Whitson and Galinsky. Psychology Today reported on the study saying that it demonstrates how people “primed to feel out of control are particularly likely to see patterns in random stimuli“. Now, think about this. The greater the stress levels in the people of a society, the higher the number of people who believe in God. This ties in with Dr David Sloan Wilson’s thesis that countries practicing a more ruthless model of capitalism are more religious in general. Dr. Wilson has argued that one of the key things that must happen before rationalism spreads worldwide is that the quality of living of society must rise as a whole. Systems where the level of social support is high- like in Western Europe- religiosity is extremely low. Systems where extreme competition-based economic models are in effect, like in the US, the resulting high wealth disparity causes higher levels of stress in society, leading to more belief in irrational ideas. Therefore, it is in the interest of ridding humanity of superstition that we work towards an idealized society where economic interests are not a source of consternation for the populace. This can only happen in a socialized model of democratic capitalism, as Sweden, Denmark and a handful of other countries have realized. In such societies, non-profit organizations and groups are an essential part of maintaining the social fabric. In such societies, the governments tightly regulate industry, making sure it stays in line with the values of the society in which it exists. Such societies are the way of the future. The fundamental point I’m trying to make is that ‘not-for-profit’ organizations make a much lesser impact than ‘for-profit’ organizations. As an example, Pankaj mentions the advancements made by the private sector in the telecommunication industry in India. There is no doubt that in this case the private sector is indeed responsible for much development. This, however, in no way validates the above statement. There are certain things that we tend to take for granted. For example, what about all the government programs that went into providing law and order, civic infrastructure like roads, transmission facilities and public spaces, health-care for the needy (even America provides government health care for it’s most revered- soldiers and old people) and most important of all, the education and research that leads to advancing our knowledge in science and technology? Self-interest is very effective in making use of the opportunities for short-term financial gain that are enabled by the social structures created by non-profit organizations (like governments). Adding to this, non-profit work provides the central planning needed to give direction to those acting for short-term gain. Practically all industries have been subsidized in one way or another. For example, consider the pharmaceutical companies. Without the decades of basic research in anatomy and biochemistry, facilitated by the many government-funded research institutions, the industry would not exist in it’s current form. The energy industry in an even more striking case. Oil subsidies have marked the history of that industry. Today, governments are preparing society for a major transition by providing incentives for industry and consumers to switch to renewable sources of energy. As mentioned previously, there are certain essential things that cannot be monetized without violating basic human rights (or providing high taxpayer subsidization). This requires government/non-profit groups to divert resources obtained from profitable efforts, towards sustaining these costly social necessities. Health-care is one example. Others include energy, food and education. In all these cases, governments are involved. In the US there is the misconception that socialism is a foreign evil. Many Americans would be surprised to know that the U.S. government federal budget sets the world record every year for government spending. It is unfortunate that the majority of this spending (about half) goes towards unnecessary wars and wasteful military posturing. The U.S agriculture industry would not exist without subsidies. We all know the history of the internet. The US government funded ARPA which later became part of NASA, another government entity. The US defense department and the public universities spent many years on tax-payer funded research. In the 70s, all over Europe governments were building primitive computer systems. Today, for-profit IT businesses benefit from the infrastructure and years of research laid out by governments. All sensible governments practiced protectionism, providing their local industry a chance to get established. The US, despite it’s free-trade rhetoric and its pressuring of developing countries to open their markets, was founded on protectionist principles. Benjamin Franklin endorsed the closing of US markets to British cloth, thus creating the impetus within the US for a strong textile manufacturing industry. Indians remember Gandhi’s boycott of Western cloth and his adoption of khadi. Even the Japanese, who are held up as an example of successful capitalism, kept their markets closed for years after the war, in order to strengthen their infrastructure. China’s current growth is another example where strong central planning was followed by industrialization and harnessing of the profit motive. If one only looks objectively, governmental action underlies all modern progress. Of course, governmental action seems quite different from non-profit work of the sort that we are talking about. However, one must remember that government is the biggest non-profit endeavor that humans have come up with. It is the development of civilization itself. We are talking about it here because the comparison between the government and the telecommunications industry in India was used as an example by Pankaj. In the case of idea-wars like the fight for rationalism, non-profit groups are an organic outcome and not the result of governmental action. These are different types of non-profit initiatives. In closing, one cannot simply say that for-profit institutions have a greater impact than non-profit institutions. Without non-profit initiatives there would be no society for for-profits to operate within. The rationalism movement, just like all social movements, has a strong base of concerned people acting out of their desire to participate in the process. It may be true that many more rationalists spend time on other things, but there are many in the movement who would rather join a protest for eradicating superstition than hang out with friends. The future of the movement will be determined by these folks. This is not to denigrate those who choose to do otherwise, but this is the nature of the beast. Monetization is not unheard of in the rationalism movement. This sort of thing happens quite organically, much like non-profit endeavors. People have tried it online since the beginning of the movement. Some have succeeded in making money from selling rationalism, whether that was the plan or not. I’m sure Dawkins does not have to ration his telephone use. However, most activists do not make a paisa. It turns out that there are serious problems with the idea of making money in the movement. The subject at hand is very controversial and everyone has an opinion about it. This means that there is a large quantity of information online on issues that concern rationalists, making it harder to sell this information. The free-thought movement, in all its online forms, is probably better represented in cyberspace than any other movement. In the internet age, knowledge is often made free within minutes of it’s creation. In a movement as connected as our is, this makes it very hard to monetize. I happen to think this is a good thing. Why? Because the fact that it is hard to monetize rationalism is evidence of the success of the movement! If the information (required in any war of ideas) is already available for free, and if more rationalists are working around the clock to keep spreading this information, then there is no need for the profit motive to be involved in promoting the movement. There are ways to profit, even financially, from the rationalism movement. However, they involve a fundamental switch in thinking. We need to see what’s missing in the movement, because often it is this something that requires investment bringing in financial returns. The growth of any new social movement requires the construction of a social infrastructure to support it. All movements require this, unless they can usurp the social infrastructure of other movements. We have a head start. The colleges, universities, libraries and websites that are needed to promote science and reason are already available for us to utilize in our quest. But there are gaps in this social infrastructure that need to be filled by rationalist entrepreneurs. There are some areas that can be identified specifically. Consider Camp Quest, a summer camp for kids of parents who value science and reason. This is obviously a great idea. Little needs to be said about the need for such a summer camp, and yet there were none until recently. Of course this idea has still a lot of potential to keep growing. To expand on the subject of children’s education in critical thinking and science, there is a great need for much representation of the rationalist point of view in the regular curriculum. Top quality rationalist books and films that are specifically designed for children are in demand right now. Other such gaps are present in the social infrastructure of the rationalism movement. We must, however, be careful in how we go about monetizing the movement. As mentioned above, our primal interests are often deleterious to civil society. The primal profit instinct can take a noble cause and twist the intent behind it by narrowing the focus to those areas which are profitable on the short term. This needs to be avoided at all costs, because it goes against the prime directive of the movement. The analysis presented here is meant to stimulate discussion on this subject initiated by Pankaj. I hope to see my arguments picked at and criticized. Again, I cannot stress enough the value in utilizing human self-interest in promoting rationalism, so let me state for the record that I certainly believe that the human propensity for self-interest is something that needs to be tapped towards a long-term stable goal. The purpose of this article was to defend non-profit work and to present some arguments for why such group endeavors are fundamental to the future of the rationalism movement. Thanks for the wonderful write-up, Ajita. I agree with you on the role of non-profit organizations and governments and their importance. In my article, I was not considering the bigger picture. Your article presents a well considered picture of for-profit and not-for-profit organizations. Here’s an analogy about my thought process. I realize analogies can be misleading and several aspects of the analogy might be inappropriate, but it will probably make it easier to appreciate my thoughts in a larger context. Consider the human body as humankind, superstitions as something life threatening (say ‘highly dangerous levels of cholesterol’), ‘for-profit’ as a very fast cholesterol-reducing drug, and ‘not-for-profit’ as ‘healthy eating and exercising habits’. If the body is healthy, there is no need of cholesterol reducing drugs. But when the cholesterol levels are very high, ‘healthy eating and exercising habits’ might not be as effective to save the human body as the cholesterol reducing drug. However, once the cholesterol problem is solved, it might be detrimental to continue the drug. So, it is better to discard the drug and adopt ‘healthy eating and exercising habits’. My article was focusing on the idea that ‘for-profit’ is equivalent to a ‘fast cholesterol-reducing drug’. I felt that most movements do not exploit the ‘for-profit’ motive. ‘For profit’ is a powerful motive needs to be considered as a tool that can be used to accelerate the movement. I’m glad to have this conversation because I think it is one that needs to take place. Let us specifically talk about Nirmukta. I have no intentions of profiting personally, but it sure would be nice to generate some money for Narendra Nayak’s projects and other rationalist causes in India. Initiall I had the idea of using affiliate advertising, but as you may have noticed, the religious ads were annoying.Turns out, there is a much bigger market for superstition and rationalists don’t bother clicking on ads. In light of this, I am in the process of re-thinking our approach here on Nirmukta. I think it would be a good idea to discuss how we could possible monetize Nirmukta, without compromising our ideals. So, I invite you and anyone else to present your ideas. In my opinion, the best way to make money for the movement is to provide services that are needed in the rationalist community. Even something simple like an intelligently worded rationalist T-shirt could be a good start. Another way to go is to request donations to specific causes, although I think this may turn off readers. Nirmukta must be registered as a non-profit organization before it can accept donations, and I don’t think the time is right for that yet. Please suggest your ideas and we’ll see where we can go from here. The most important thing, however, is that we maintain our core principles. Any monetary benefit must be diverted towards the greater good of the rationalism movement. As I have been saying often, we need activists more than anything else, particularly those who can have a pan India presence. Due to the problems of language and lack of motivation among the other activists I am terribly over loaded. In the past few years I have spent only a month at home each year or probably even less. I just drop in at home for a few days and also fulfill local commitments at the same time and go on the next trip. I don’t know how long I could keep up this punishing pace. In 2006 I quit my job to devote all my time for the propagation of the movement and still, the time is not enough. Will corporatisation of the movement work? I just cant say.I also know that are some people who are national capital based,get all time on TV channels,strike poses as if they represent the movement at the national level, attend seminars and never move from their comfortable settings. They would like to enter the movement, try to represent themselves as leaders and make it appear as if all activity at the national level is taking place under their guidance and leadership. We have tried our best to keep out these TV channel, five star hotel culture ‘representatives’ of the movement who also have fancy names suggestive of being at the helm of affairs in the country. It is the sincere activist who must be encouraged and sponsored to carry forward the movement at the grass root level. Again, I have a nagging feeling that once money gets accumulated, people may find ways to spend it not necessarily for furthering the movement.These are some of the nagging doubts in my mind and also of many of our sincere workers. In a country like India with a vast geography and a variety of languages it is very difficult to develop leadership of a national appeal and to carry all people effectively along. As late Premanand told me that he has found out some one to carry on his work. When I asked him what should I do further and he replied that that would be my headache! It is not the lament of the individual Narendra, but a task before FIRA the organisation with the largest net work and pan India presence. We have good representation in rural and urban areas but are poorly represented in metropolitan cities. By exploiting the profit motive, we might be able to get activists in the cities also. I am not talking about five star culture representatives of the movement. I am talking about people who are not as motivated and dedicated as you, but nevertheless would be happy to contribute to the movement in some way. Here is another perspective, I’m quite certain that you are not in favor of child labour. However, you are not directing your energies specifically to fight child labour. Now imagine someone trustworthy comes and tells you that if you invest 100 Rupees, that will be used for commercial purposes and you will get return on your money. And it is perfectly legal and aids in reducing child labour in India. You might not have the time and inclination to be a child labour activist, but you might want to invest money in this company and thus help the movement for eradication of child labour. I want to be clear that I am not belittling the efforts of people like you, Premanand. I have immense respect for you. I am only looking at ways of accelerating the movement. Here is one idea that comes to my mind. There are a lot of parents in cities who want their children to learn science and maths, because it will help them later in life — getting into good colleges, good jobs etc. One could start a course ‘Improve your Math and Scientific thinking skills’ for children. With the right kind of content, planning and marketing, there could be many children signing up for this course. It can start small and enentually have a pan India presense — like an NIIT or a Cafe Coffee Day. A side effect of teaching children scientific thinking is getting rid of superstitions. Another thing. Do you have any hypotheses on why we are poorly represented in metropolitan cities? And solutions? What works for rural and urban areas, but not for cities? Before we can profit from selling something, there needs to be a demand for it. It is not possible to sell something when there is no demand. Industry deals with this problem through PR to generate demand. This involves changing society itself, restructuring its values and changing its aspirations. In the process of this transformation of society, there need to be multiple avenues of growth. I think it is not useful for us to try to unify the movement under one specific approach. The multi-pronged approach that will result from diversification of the movement is the best way forward. I fully support Narendra’s very important work, and I this is undoubtedly the most hands-on and dangerous part of the work. Few people can do it and it involves much sacrifice. Also, one needs to have the background and temperment to be able to do such work. I would not last 5 minutes. I also completely agree with Pankaj’s approach towards getting people interested by showing them there is money involved. There are non-profit groups in the US that have applied a rigid institutional model. there also are companies that benefit from producing products and services for the freethought movement. My idea is slightly different. I am more interested in filling in the gap caused by the removal of religion and superstition. Of course, scientific thinking is one major aspect of this gap, and Pankaj mentioned this. However, I think that this is only a limited part of the gap. Religions serve many more functions than just providing people with (mostly wrong) factual information. They serve as a moral, philosophical and social web for most believers. In fact, most believers subscribe to these beliefs because of these emotional needs. This is the area that I wish to focus on. We need to create secular alternatives to religious events, services, rituals, gatherings, moral codes and life philosophies. These alternatives must be powerful enough to bring together secular people for precisely the reason that people have always coalesced around common ideas- because they strengthen our very human essence. In fact, it is the creation of these alternatives to religion that have the most potential to have monetary benefits. I think all these strategies are important in different ways. If we need to transform society itself into one where there is a demand for rational thought, we must adopt this multi-pronged strategy. Your post has raised a question in my mind. What is the goal of the rationalist movement? I have assumed (not sure from where I picked it up) that the goal is to eradicate irrational/superstitious thinking from the world, so people can think rationally and act accordingly. I have also assumed that what happens after that is out of scope of this movement. To give an analogy here, the goal of the Indian freedom movement was to get independence from the British. Whether we adopt a socialist or communist or capitalist model was presumably out of scope of the freedom movement. Your post talks about several things that are beyond promotion of rational thinking — things like what govts should do, should not do etc. I am not well versed with the rational logic on those topics — maybe the likes of Amartya Sen are competent to comment on those topics. For example, it can be argued that the ‘Brave New World’ of Aldous Huxley is a society based on rational thinking. Is that something that is acceptable to you? I’d be very happy if you could point me to the goals and scope of the rationalist movement. Whenever complex social problems or movements are oversimplified, some major assumptions are always hidden. In this case it is the fact that subjective values are involved in such social problems/movements. Depending on how we subjectively feel about these implications, we make subjective decisions on how we wish to implement the two strategies. When you talk about using the profit motive, there are subjective decisions that underlie your views. The same goes for me (I subscribe to a careful combination of the two strategies). If you had presented a set of subjective reasons stating why you prefer the end results of using the profit motive, and I had told you that those subjective reasons are “beyond promotion of rational thinking”, I would be wrong. This is because we all make our (subjective) decisions based on what costs and benefits the implementation strategies that we choose will have. I suspect that you did not present a set of subjective reasons for putting for-profit initiatives on a higher pedestal because the idea that subjective values are involved in that determination never occurred to you. I say this because this is a common mistake in economics. Very often, economic theories are implemented as though there are no subjective moral decisions involved. In truth, these theories have hidden moral decrees. You know that the ideas we are discussing here are, in their extreme forms, the core philosophical dogmas behind the two greatest conflicting social-economic-political philosophies of the modern era. You were right in your own analogy in the telecommunications example where you equated non-profit groups with the government. In fact, I tried to keep much of the political stuff out of the argument. For example, I could have pointed out how every major economist, including Nobel winners Paul Kruger and Amartya Sen, have declared without a shred of doubt that this current economic collapse is because there was a systematic deregulation of the for-profit sector in America coupled with terrible inadequacies in the public sector. But that’s a different story. I just want to say that you are right in thinking that selling rational thinking will involve a change in society at large. I know the article I linked to on the post is long, but if you have a chance to read it you will see what I mean here, especially the part about how subjective values form hidden assumptions in socioeconomic theories ( http://www.culturalnaturalism.org/2009/06/naturalism-in-economics-part-1.html ). It is actually very hard to compress this subject since it is a complex social issue involving many essential factors. Another (altogether different) point is that there is a direct line of reasoning in the post to suggest that the non-profit motive may actually be better on the long run purely for the purpose of increasing the number of people who think rationally. This idea has a lot of evidence supporting it. For example, countries which enjoy high levels of social welfare are generally the most rationally inclined. I really recommend that you read Meera Nanda’s latest book, The God Market: How Globalization Is Making India More Hindu. Finally, your analogy on the Indian freedom movement. The goals of the movement were clear. What was not clear is how the goals were to be achieved. Gandhi and the others had to make choices based on what they were willing to give up for which gains. This was the end product, the society that they wished to create. We all make these subjective values choices. There are subjective values involved in the preference for a for-profit economic model. There are values involved in preferences for non-profit and mixed models as well. We must begin our conversations by making these values preferences explicit. This is what my post was about. I’m not sure of this, but after reading this i cant help getting a feel that somehow ‘non-profit’ concept is being perceived as having a higher moral ground than the ‘profit’ concept, especially when it comes to the rationalist movement. I just hope that i’m wrong. Let me borrow a few words from ‘The origin of species’ and state what it has to say about natural selection. “It may be said that natural selection is daily and hourly scrutinizing, throughout the world, every variation, even the slightest; rejecting that which is bad, preserving, and adding up all that is good; silently and insensibly working, whenever and wherever opportunity offers, at the improvement of each organic being in relation to its organic and inorganic conditions of life.” Now lets assume that some of the words like ‘natural selection’, ‘organic being’ which map the meaning of this sentence with natural selection were to be substituted by the name of some organisation and its volunteers/ employees. Now if i were to ask you to classify the organisation as a ‘profit’ or ‘non-profit’ one, i’m pretty sure i’d get very few entries in the ‘non-profit’ category. Further more, if i’d then offer the shares of this organisation to you at a discounted price would you not consider it ‘profitable’ to take the offer? The point i’m trying to make is that it is natural and rational to drive any endeavour with the aim of reaping ‘profits’. Now when it comes to rationalist movement, should we look at ‘profit’ only as ‘short term monetary gain’? I don’t think so. The other few among many benefits/ profits to be gained from being a rational are independent thought and decision making skills, inquisitive and reasoning nature, a responsible and enriching life and a high respect for other lives. But are we ready to ‘market’ these gains in the society today to spread the rationalist movement rapidly?. Unfortunately again, I don’t think so. Religion is already ‘good’ at it (though not by offering the benefits mentioned above) and is the clear ‘market leader’. Coming back to the point, it is naturally a boost if we rationalists smartly bring in the ‘profit’ angle to see a palpable change in the society. After all, people will be unwilling to change or even contributing to the efforts of transition unless they clearly see the profits in the transition. I also see a lot of references to social movements, governments, open source societies where societies have unified values and things operate in government regulated environment. I do firmly believe that the actions in these scenarios are also self-centered at their respective levels. Don’t governments undertake developmental activities in the hope that they get re-elected? Don’t the open source coders feel good that ‘they’ have contributed to the cause? I’m sure a guy would be more happy about ‘his’ efforts rather than somebody else’s effort in spreading the open source platform. Of course, here the monetary gains are missing, but the same altruistic act can be perceived as ‘self-centric’ at some level which brings about a lot of ‘profits’. I guess it helps to associate ‘altruism’ with a mass movement. Although it might not be needed or right, i think it definitely works like in the case of freedom movements, campaign against poverty, empowering women, education and other such things, but i’m not too sure it would work to the same extent for rationalist movement as it works for others. I’m afraid the rationalist movement would either be slow in conveying its message or just fade away as one another awareness campaign. I have read of a species of animal which gives out a loud call when it senses a predator approaching thus risking its own life by exposing itself to the predator. This seemingly illogical altruistic act in fact is favoured by natural selection/ genes because one animal is lost but many others are saved which otherwise would have been killed and thus the gene lives on. I just hope that the rationalist movement doesn’t turn into that altruist prey which gives out the alarm call against religion (predator). Wouldn’t it be better if the rationalist movement ‘worked silently and sensibly, adding up all the good, whenever and wherever the opportunity offers’, replicating like ‘agent smith’ in the matrix or being the outlaw like batman. I think given the manipulative rules of the religious system, this wouldn’t amount to bending the rules, compromising on principles or being the ‘bad guy’ like batman or agent smith whom i have cited only to spice up the comment (in case some believer tries to take a dig at the sentence). Although words like profit, capitalism, free-market might might mean that developments do not precipitate down the line, i believe that those are only aberrations brought out by few circumstances where they have not worked, but this by no means should undermine the concepts themselves. I would like to see the rationalist movement assume the levels of mass movements, while maintaining the independent thought and unique opinion of the each rationalists. I would like to see the self-centered actions of the rationalists contribute to the bottomline of the system. After all, I don’t think we rationalists would want to come up with a unique set of morals, values, cultures that are deemed acceptable to everybody in the society and coming up with a ‘101 Ways to lead enriching guilt free life’ book which replaces the Bible as the #1 bestselling book of all times. I have been to Kathmandu for a few days and have a met good number of young people there who are interested in building up a new secular( in the true sense of the word!) democracy. Similarly we have in India people who are interested in working for the mvoement but have no financeial support. We are preparing a project for making a support system for such people so that theyc an work for the movement. We shall put up the plans for the whole subcontinent as soon as they are ready. Very interesting and well articulated article! I had agreed with everything you said, until I realized that government is actually the largest *for-profit* institution in existence. If you think about it in the context of the IT revolution in India one can argue by pumping resources into various technology industries the government was able to increase wealth and prosperity for not only its citizens but also its businesses, both of whom pay taxes to the government. In my mind, the only difference between government and other for-profit industries is that instead of considering profits and losses every fiscal quarter the government has the freedom and flexibility to work a on an extended timeline. Thus, the government can spend years and decades trying to build various industries rather than having to show results in a matter of months. I love your article, and it made me seriously question my beliefs about capitalism; however, after further introspection I will have to say that I still agree that most decisions are based on for-profit motives.